Rear View Of Mountain Bike Rider Who Jumps Over A Dirt Track.. Stock Photo, Picture And Royalty Free Image. Image 41506842. 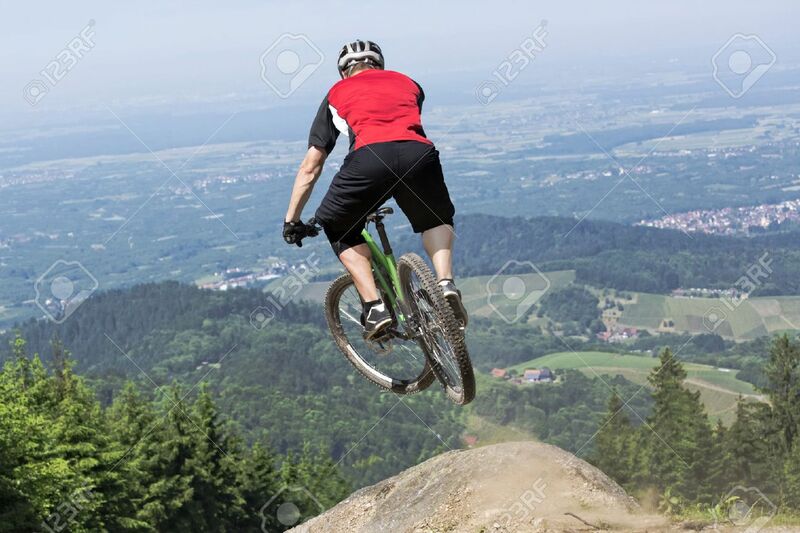 Stock Photo - Rear view of mountain bike rider who jumps over a dirt track kicker. The chosen perspective gives the impression of a jump into the precipice. The background shows the black forest in germany. Rear view of mountain bike rider who jumps over a dirt track kicker. The chosen perspective gives the impression of a jump into the precipice. The background shows the black forest in germany.